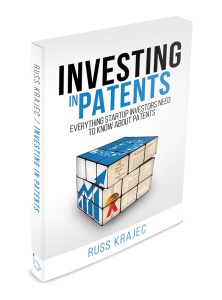 Russ Krajec is a registered patent attorney, engineer and inventor with over 40 United States patents. He practices in beautiful Colorado, serving the patent needs of clients all across the country. Mr. Krajec is the founder of BlueIronIP.com, a patent financing company. We provide only the highest quality patents – patents that are worth the investment. What can you do with Investment Grade Patents? Finance the patents, get loans against them, insure them. See BlueIronIP for more details. 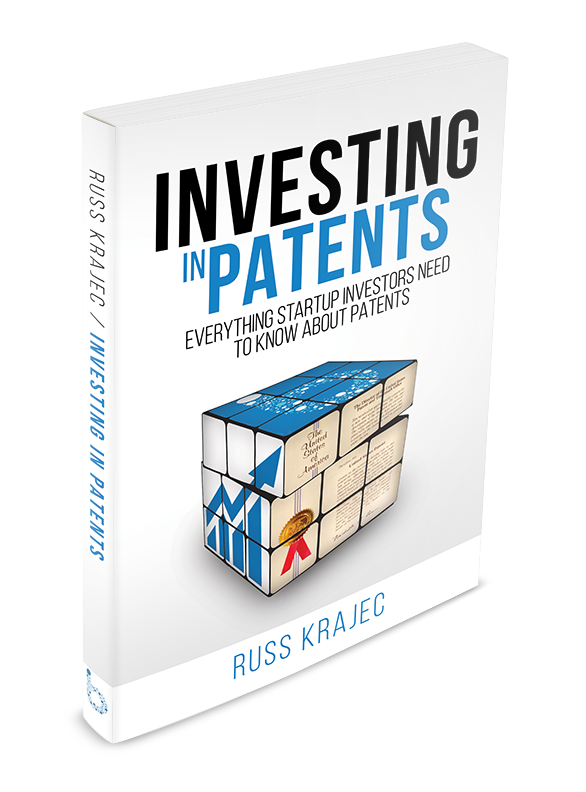 Russ Krajec’s new book “Investing In Patents” describes the patent system from an INVESTOR’s point of view. How startups use patent assets. A roadmap for startups to develop commercially-valuable assets. How to do due diligence on a startup. Visit InvestingInPatents.com to learn more. We are pleased to announce BlueIronIP.com, a patent financing vehicle that gives you full control of your patents, while charging an affordable monthly fee. When capital is expensive, it makes financial sense to rent rather than buy. BlueIronIP.com aligns our interests much more tightly than a conventional attorney-client relationship, resulting in better protection and higher valuations. Krajec Patent Offices specializes in patent preparation and prosecution. In fact, I don’t do any other type of law so that I can focus on this one critical facet of your business. I write the highest quality patent applications and take the time to understand the business goal of the invention as well as the technical details. My disclosure meetings are much more like design reviews, where we consider all the elements of the invention and the different forms they may take. As such, I can help you expand the scope of the invention in ways that other patent attorneys often cannot, because I bring to the table a long history as an engineer and inventor. Even though I might bring more expertise to the table than most patent attorneys, I maintain a modest overhead and can charge reasonable rates for exceptional quality of work. My prices are not going to be the lowest in the industry, but you will be hard pressed to find a better quality patent, regardless of price. I encourage many of my inventors to do their own patent searches, especially when they are developing new ideas. There is nobody more qualified to perform a search than the inventor who knows their idea and can benefit from seeing other people’s versions of their idea. One of the most rewarding parts of patent law is the disclosure interview. This is where a good patent agent/attorney can add value far in excess of the fees collected. A good disclosure interview is an opportunity to shape the invention into something that makes sense for the business as well as sets the proper expectations for the inventors. A good disclosure meeting is also brutally exhausting if done well. I do all of my patent cases for a fixed fee. Because of this, I need to be efficient and thorough at every step. I view the disclosure interview as the most essential step that helps me do the highest quality work for a reasonable price. My patent was rejected - what do I do? My patent was rejected by the patent examiner - what do I do? First off, do not worry. The back-and-forth process between the examiner and applicant is a necessary part of getting a strong patent allowed. You want the examiner to fully understand the invention and do a competent job of searching. If the examiner does a poor job, your patent will not withstand attack. You want the examiner to do a good job. There are times when an inventor can be very myopic. There was one inventor several years ago who insisted on very specific definitions of his invention and would not permit any variation from his vision of the invention. The inventor would not consider any expansive definitions or alternatives to his idea. He was so fixated on his little view of the invention that he could not see how it could possibly be expanded. As I work with a client to understand an invention and begin writing an application, I spend a considerable amount of time and effort to come up with different embodiments and alternatives for the concept. Since my background includes many years as a practicing engineer, patent holder, and entrepreneur, I have a unique vantage point to expand the scope of coverage for a patent application. Inventors sometimes file their own patents. Often, I consult with inventors who are considering writing their own patents or those who have already done so. In general, these pro se patentees are looking to save some very valuable cash and are willing to invest their time and effort into learning how to write and file a patent. BlueIron IP finances patents for companies where the cost of capital is high. Your capital is very expensive as a startup, and needs to be used to develop prototypes, marketing, building inventory, fulfilling sales, and general expenses. When capital is expensive, it makes much more sense to rent rather than buy. BlueIron IP gives you full control of your patent assets so you can keep competitors out of your marketplace, but the financing arrangement manages your expenses. Your patent expenses are fixed, smooth, and predictable, so that IP is a manageable budget item. BlueIron's financing arrangement is similar to a commercial lease-back arrangement, where you have a buy-back option that can be exercised at any time, yet BlueIron is providing the capital for obtaining and managing your patent portfolio. The Net Present Value of BlueIron's financing can be less than the up front cost of paying for a patent, especially when your cost of capital exceeds 10%. A huge side benefit to using BlueIron: professional portfolio management that has a vested interest in the *business value* of your patents. Check out BlueIron IP for more details or contact me at russ.krajec@blueironip.com. Most patents are a waste of money. Why is it that Apple and Samsung each have many thousands of patents, but when they start a patent war with each other over, they only assert a small handful of patents? For a small business with limited resources, judiciously selecting ideas for patenting can make the difference between having a valuable portfolio and a worthless one. The key factor on the value of an idea is not the 'coolness' of the technology, but whether or not the industry is likely to use the technology at some point in the future. This vision is much, much wider than the typical entrepreneur struggling in the trenches to build a business. Curating a patent portfolio requires looking past a product going into production, past the immediate, short term business goals of your business, and into the future of your industries as well as other industries. One of my clients likes to describe patents as hyenas. A lone hyena can be easily frightened away, but a pack of hyenas can be very aggressive. With one patent, a competitor or potential infringer has one thing to analyze, dissect, and find a way around. It may cost a little bit of money to analyze, but it is certainly a doable proposition. With a dozen patents, the competitor's workload is substantially increased to the point (hopefully) that it is cost prohibitive for the competitor to find work-arounds for every one of the dozen patents. As much as patent professionals like to harp about the advantages of patents, copyrights, or trademarks, it is also like asking a barber if you need a haircut. Are you selecting the right things to patent? It is okay to start with the Big Inventive Idea, but look at the business as a whole to select what actually gets protected. People come to me with inventive concepts that they want to patent. The engineer or inventor in them relishes the "cool factor" that comes from that incredible moment of conception of the concept. My experience is that the excitement and euphoria over the invention is often palatable years afterward. In fact, there are several of my own inventions that to this day bring goosebumps when I think of that very moment when I came up with the concept. These concepts are often the ones written up in invention disclosures or used by the independent inventor to start a business. Why is Searching So Hard? NY Times - Does the Patent System Need an Overhaul? A 501(c)3 non-profit with loads of IP-related educational content. Ethical Collaboration is another 501(C)3 non-profit that teaches entrepreneurs and their advisors how to collaborate ethically.